I-Net infotech is an IT Services Company that cost-effectively provides cutting edge information technology services to a global clientele spread across the globe. 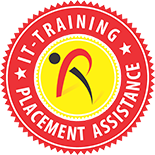 We helps companies align Information Technology with their organizational goals and business objectives, while ensuring enhanced operational efficiency.Inet is one of the top IT center in kerala.We have Autorised Partners like wipro,cisco etc..
I-NET is an Authorized and the most trusted RedHat Training Partner. Our training programs offer you infinite career growth and lofty salaries and adapt you to the most challenging job requirements. I-Net infotech has an enriched software development division. 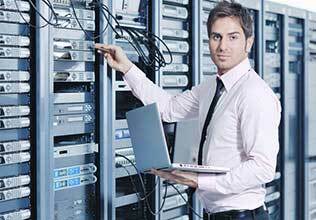 I-Net infotech provides reliable solutions in the area of networking. We offers; globally-recognized first professional-level of Networking Certification Training. The South India's Best Network training Center. Our aim is to give you better solution for your future career with competent faculties to deliver quality training. We offers best standard IEEE Project guidance in .Net, Php, Java & Android Platform. The level of quality standards provids ISO 9001 training level program in Mobile Phone Engineering.Hardware Training is the Best Opertunity for Prove your skills to others. Inet provide Training all models of laptops with any problem including BGA replacements. The Laptop Training is the hand-in-hand of our future development. 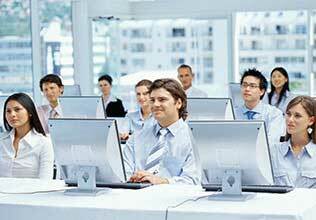 I-Net furnishes best training in IT through updated programs and technologies. Practical oriented programs lead to get in touch with real time scenario. The primary aim of I-Net Infotech is to showcase prospective employees in front of employers. We care interests of both seekers and takers respecting their requirements. 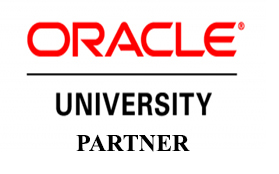 The Oracle Certification Program certifies candidates on skills and knowledge related to Oracle products and technologies. Microsoft offers a wide range of online certification (MCSA MCSE MCPD MCTS) programs designed to take your IT skills and your career to the next level. We offer Five levels of Network Certification Training: Entry(CCENT), Associate(CCNA), Professional(CCNP), Expert(CCIE) and Architect(CCAr), the highest level of accreditation within the Cisco Career Certification program. Red Hat Certification is delivering more value for IT managers and professionals. A Red Hat Certified Engineer (RHCE) is a Red Hat Certified System Administrator (RHCSA) who possesses the additional skills, knowledge, and abilities required of a senior system administrator responsible for Red Hat Enterprise Linux systems. Get Excellent Unlimited Services . Well Experienced Staffs & Engineers.